If you want to download a copy of Gregory Mannarino’s latest book, go to one of his You Tube Channels or get some free information and analysis, that can all be found by going to TradersChoice.net. Pro Western forces in Ukraine are getting wiped out- looks like mass panic. Ever wonder why Ukraine is no longer in the MSM headlines. In fact this story was scrubbed from their headlines. The following article appeared briefly at this URL on censor.net.ua and was quickly pulled down. Ironic? It would seem so. My translation. I bring it to you because it succinctly lays out the situation as I’ve been able to piece it together from multiple Russian- and Ukrainian-language sources, and because you are unlikely to come across anything this truthful from cough Western media cough. International observers report of growing panic in Kiev in connection with the successful counteroffensive of the separatists near Donbass. Over a week of fighting the partisans have delivered a heavy blow to the Ukrainian forces. The group of Ukrainian fighters in Donbas suffered huge losses, the soldiers are demoralized, the officers are confused and unable to control the situation. Ukrainian military leadership is seriously concerned of a new encirclement near Debaltsevo, as well as in other areas. The situation is made worse by the fact that army and national guard reserves are almost completely depleted, and plugging the gaps in defense using small formations canoot stabilize the front. Besides, the Ukrainian forces are running low on ordnance, food and medical supplies. In turn, the partisan field commanders report 752 killed Ukrainian military personnel, 59 destroyed tanks and a large number of people taken prisoner. In view of their combat successes, the partisans are refusing to take part in any further negotiations in the format of the Minsk agreements and threaten to continue the counterattack. Local authorities in Ukrainian-controlled districts near the front report that Ukrainian soldiers are deserting with their weapons and taking to looting the countryside in increasing numbers. In this critical situation the military is afraid to report to president Poroshenko the real situation in the southeast of the country, hiding from him the full scale of the catastrophe. The head of state is still convinced that the situation is under control, and hopes that in case of a real threat he will still have the chance to ask the West for help. Stability is all they can hope for but that is now failing. Markets in every form (currencies, oil, and Dow/S+P) are making extreme moves. This is a sign they are losing it…….. Yes there will be a blame game and the war we all expect…….. Rare earth metals is next ( MCP, REE ). They will signal a broader military event. Paul, absolutely right on about the press & the Imperial President, Iran is another good example. rising health care cost, the Religion of Peace, the Mexican border and the Mexican Government criminal deportation system, and so on & so on; wait until there is another President, perhaps a conservative, the MSM will come out and grow fangs. Catherine Autin Fitts is correct, our leaders are lawless, their judgment will have to come from a higher court, perhaps not of this world, but, it will come. The fight for the new world economic disorder has begun in earnest. The coverup of the meltdown of the social welfare economic experiment has arrived on the heels of war betwixt the Kings of the north and south and hard and I must stress hard times, will be here, shortly, mark my words, or should I say mark his words! This is an interesting listing of shipping capacity, that might help explain why the Baltic Dry Index might be at its cheapest level in a while. * “Twenty-foot Equivalent Units” –essentially the number of standard 20 x 8 x 8.5 foot shipping containers the world’s container-ship fleet can carry at any given moment. David – Container ships and container shipping have a category all by themselves, as do liquid transporters such as oil or chemical tankers and LNG carriers. The Baltic Dry Index (BDI) strictly deals with dry bulk shipping such as; wheat, soy bean, rice, iron ore, corn, bauxite, cement, etc. etc. etc. Comparing the number of TEU’s available to BDI level of activity, is misleading in the extreme. Greg … As Mannarino and others say … they will take us to war … the fuse seems to have already been been lit in Kiev. Spartans (once called upon to defend Thermopylae against “the Immortals” advancing toward Mount Olympus) today do battle against a formidable EU in an effort to make Greece a viable and independent nation once again … however Greece must challenge the EU Giant using the only political weapon they have … “inherent moral goodness” (now fleeting quality found in humanities corrupted DNA) … unfortunately the Greeks are outflanked economically and outgunned militarily by the mighty EU Giant which can inflict much pain … however others of like mind (Spain for instance) may offer some support. Like the Spartans of old Greece doesn’t have much to defend itself with against a Giant EU Empire (currently intent on adding more states to its Union and using economic sanctions as weapons to begin this hot war they want so much with Russia). Greece throwing aside its need for EU loans … is actually moving toward Russia for help in battling the European Giant … it’s like another David and Goliath story where a smaller Greek nation with hardly a weapon in hand … strives to defeat a much larger Giant … hopefully … as David once protected Israel from a monstrous Giant … Greece too will be able to bring down the Giant debt burden off the backs of its people. New alliances are beginning to take shape … Putin has offered aid to Greece if they turn East but continue to stay in the EU (to veto sanctions against Russia) … this whole Greece affair is a disaster for the EU … because others like Spain, Portugal, Italy and France may now think of leaving the Euro-zone and NATO … and while NATO seems to be breaking apart … Russia, China and India are meeting to build new bonds … Iran is “already” allied militarily (with the delivery of advanced weapon systems) and economically (by joining Russia’s new alternative to SWIFT clearing system). Gold is now being bought hand over fist … especially by Russia and China … huge up day “gaps” in both gold and silver are clearly on the horizon … consider that Israel still talks of bombing Iran’s nuclear enrichment plants while Russia discusses constructing “new nuclear plants” within Iran … seems like a non-sequitur to me … Israel for its own citizens protection and safety of the Holy Land should consider not being so aggressive in antagonizing Russian and Iran’s allies … seems a bit foolish to me to think the US will easily come to Israels aid if a retaliatory strike is launched by its enemies … surely the politicians must see powerful alliances are being formed against Israel and weapons of great destructive power are being put in the hands of its enemies (even Israel’s nuclear option will become all but useless if a nuclear counter-strike threat from Russia ever grows greater) … no one in there right mind desires a nuclear confrontation where the crater produced can be so large that the Mediterranean sea expands eastward to the shores of Palestine … all of us sane people must do our part to protect the Holy Land … everyone with at least two(2) brain cells can see what is coming … it is so very obvious to all of us except the crazy loony tune politicians in charge of protecting the people (and who continue to blindly foster more provocations and talk up war) … instead a major peace effort should be underway … and simply produce a mutually agreeable accommodation between the brothers of Abraham. Therein lies the problem – there is no such thing as a “mutually agreeable accommodation between the brothers of Abraham”! Debt based systems in fact requires more debt to continue. Thus they will not raise interest rates nor will they stop pushing to have everyone to borrow more money. But the problem with such a system is it hits a saturation point. At that point expansion can not continue. What will take place is a contracting economy while prices of things people need remain high or increase. This is called a inflationary depression. Greg Mannarino is quite correct with what he is saying. As for war – I don’t know. It seems to me that we now have war as a game. A game that never stops and wars that never end. It’s needed I imagine to keep the debt based system working and populations under control. I don’t think there can be a world war. That would ruin the chess board. And Iran can retaliate with one hand held Russian missle to sink any large vessel blocking a major oil route. Results being an immediate tripling (3X) in the price proving both sides can play the game. Yes … and Russia is now offering to remove the agricultural sanctions off Greece if they move away from the EU … imagine how Spain and Italy will feel seeing Greece selling its agricultural products to the Russians … and they are left out in the cold “suffering austerity” to pay off the crooked bankers … another “money maker” for Greece will be a Russian gas pipeline from Turkey through Greece and up on into Europe bypassing the idiotic Ukrainian politicians who gave up the very good gas deal they had (what a bunch of morons). Thought I would add the Yemeni angle for even more ‘color’. As we sit and chat Iranian backed Shia rebels have assumed power in Sana’a through violent overthrow, tightening the circle around Saudi. Iran friendlies now rule in Syria, Iraq, Lebanon, and Yemen. The Yemen transition, if it holds, will open up the red sea as a backdoor for infiltration, and a new maritime choke-point for Saudi oil shipments. Fear of this oil shipment choke-out may be the real reason, or at least a real consideration as Saudi has been dumping as much oil as it possibly can. When the SHTF the most critical factor will likely to be where you are when it happens. If you are in the wrong place/country, it won’t make any difference how much preparation you did because it won’t make any difference. Stock up on some supplies and you might make it a little longer than your neighbor but that will probably only prolong the suffering you’re going to experience. Unless you live in or can make it to one of the less populated states and have the right resources and contacts, you’re screwed. That’s my prediction for what I believe is coming your way and it will occur before the election of 2016. Imagine for just a moment if any central banker or world leader were to tell the people of the world these truths. 1. The world’s economic engine is dependent upon debt expansion and not wealth creation. 2. That without continually adding more and more debt to the system in greater and greater amounts, we would have a full on collapse of the world financial system. 3. That without continually putting the global monetary system into deeper indebtedness, the world economy would come to a complete halt. 4. That the collapse of this system has already begun, and soon the value of paper currency will be equal to zero, banks will close, and all business activity will cease to function. As you indicate, and most here understand, this system requires that debt be increased exponentially to survive. But an exponential function tends toward infinity over time and, since infinite debt is a physical impossibility, this system is mathematically guaranteed to collapse at some point. When, not if, is the only question. I think that collapse will occur either after a destitute people are driven to choose between physical survival or rebellion or when the issuers of the debt decide its not profitable enough for them to continue issuing it any more and simply stop doing it. One would be extremely naive to believe that those who acquired the monopoly to this system, implemented it globally and reaped unimaginable fortune and power through its use did not understand that their system was unsustainable. Its very design requires its inevitable collapse and you can rest assured that its replacement is quietly waiting in the wings to be deployed. What I would be most interested in would be for one of these central bankers or world leaders to truthfully articulate what new economic system is envisioned as arising out of the global chaos resulting with the collapse of this one. I have come to realize, mostly through the writings of authors who through their hard work to “get to the truth,” we are fed lies, plain and simple. We will never be told the truth from these people. We will never hear a truth from bankers and world puppets as they have made their choice. They have chosen very poorly entering eternity; they will not be made into gods as they think. What we are all really seeing is Biblical end times. We only know the end game. Yes, the love of money is the root of an evil tree whose trunk is the global banking system, whose branches are the the world’s puppets that enable the bankers by selling out their countries and whose leaves are the masses of who have forgotten their Maker and deceive themselves in believing that their lives and salvation depend on feeding the rest of the tree. I know the truth will never be told by bankers and was being a bit sarcastic in posting that request, but we can, find divine truth in the scriptures. They tell that what stands against the will of the Almighty will not survive but slowly and mercifully be brought to destruction in order to allow us an opportunity clearly see, then repent and change. The ball is rolling according to the purposes of that divine will as more and more sleepers awakening to see. I believe the internet and sites like Greg’s here are playing an important role in that awakening. How the work of repentance and change comes about remains to be seen as every day can be considered an “end time” day. I really enjoyed your interview. I have one question for you if you don’t mind. Do you think the economic collapse is a planned event happening in stages, or a world wide bank screw up? Your thoughts? It is the work of Dajjal. 5. The central banks will do things yet that are unimaginable and completely unprecedented in order to keep this parasitical system of theirs running for as long as possible and longer. These scumbags that run this system are not restrained by any sense of morality or human decency and they do indeed have their hands on a lot of resources. As things get tighter and tighter I think they will simply show to us their true colors more brightly and to the detriment of all of us. My bet is that things just get whackier and whackier until human life is so degraded, so cheap, so wrought with suffering that it just about almost becomes something not worth living (as it already is in some parts of the world already)…perhaps then people would be motivated to do something…lets hope there will still be a means to do something by that time as well. So true….once you understand its a debt based system that mathematically is destined to fail, you start waking up to so much. About to listen to the interview but the transcript alone was immense… you actually inspired me to go research the yield curve and how its a barometer of future economic health. So basically a flat curve (kind of an oxymoron) tells us that future a potential rate cut is coming?….but the Fed already has ZIRP right, so a rate cut means we’re going into negative rates?…and negative rates are an unequivocal symptom of a sick and dying fiat based monetary system?…..so basically we’re doomed. I concur with your statement that we’re in the eye of the storm right here, right now…this is it…Greece, oil, global deflation, Ukraine, Swiss depeg, bailins, QE to inifinity…..these are signs…what all you guys have been saying for years, is upon us. Mate, people are going to be shocked, wiped out and both depressed and angry. Stay safe dude and keep up the immense work…. Love mannarino’s style of info, SPOT ON!!! He has been gone far toooo loooonnnnng!!! You said; “do u have internet, cell fone, STOP IT, do u go out to eat, buy a new car, STOP THAT, do u have food and water purifier, GET SOME!!! Great stuff Greg and Greg! I have to agree WW3 has begun. But I wonder if the undermining of oil prices by OPEC has less to do with warfare on Russia than it has to do with an orchestrated shake down of high cost oil extraction regardless of where this industry is located in the world. Obama is dumb enough to join in with the play and I am sure the Opec countries are falling about laughing at his stupidity. The irony of this is that much of this high cost extraction is located in the US and is in the process of imploding in a spectacular fashion. Remember too that oil sold by Russia for $45US is not the end of the deal if it is has been traded for gold. It may well be that when the conversion and the cash up is done, it transpires that Russia has actually sold it for US $100 or $200 or $5000 per barrel. I would suggest that Obama, and the fools he surrounds himself with, should reflect on the substantial size of Russia’s foreign reserves, their resilience as a nation, as well as there minuscule total debt compared to almost any other western nation, before they dine out on how much the low oil price is hurting that economy. Obama is intoxicated in the pantomime and the power trip. He is so moronic in his thinking that it would never have occurred to him that it would undermine much of the domestic US oil industry and set up a subprime crisis that could potentially make 2008 look like a sunday picnic. over-throwing the elected Ukrainian Govt. Beware when you listen to this interview. Have a large bucket handy. I can assure you that with the unbelievable lies and dribble uttered by this psychopath you will need considerable resolve to get through the 3;46 duration without throwing up. I might add that the interviewer also demonstrates unbelievable ignorance as well when he blatantly parrots the MSM narrative in his questions. Nevertheless Obama makes this monumental blunder without even being pushed. Greg if you wanted a guest to interview that could explain to your readers how the Russian’s shouldn’t be seen by the US as an economic pushover, I would highly recommend Ben Aris of BNE news Editor-in- Chief. I have great respect for his factual and humble analysis of the real situation regardless of what the overwhelming MSM posture happens to be at the time. In this regard he reminds me very much of you Greg. People like you and Ben, I am sad to say, are a bit thin on the ground these days! Great post!! Please read my post, it is the very first one under Mannarrino. It appears NATO is desperately losing the Ukraine, but we dont hear about it because MSM wont report on this because it looks bad for NATO etc. In fact Kiev could implode soon. I feel this is a tremendous defeat for the psychopaths, as they hate to loose. The Ukraine ended up being a huge loss with a lot humilation for the arm chair generals. Last night I had another huge argument with a friend of mine who is high ranking in military…he keeps telling me why Putin is backed in corner and is desperate. I asked him if that was the case, why were we ( NATO)losing Ukraine with no major presence of Russina forces. He became extremely flustered and told me what I was saying was not true and that Putin will be ousted soon. I just shook my head; I told him you dont get this guy he has trained and been prepared for this his whole adult life. I did read your excellent post re the latest situation in Ukraine and I agree totally. What is happening there is tragic and completely avoidable. The presstitute MSM has managed to totally misrepresent the whole sordid involvement of Washington in the Ukraine. The average westerner has absolutely no concept of the scale of the cold blooded murder of innocent people that is taking place. Neither are they aware of the agenda of Obama, Kerry and Nuland. Of course these three morons don’t even know what their own agenda is. All they know is they are causing worldwide social and economic havoc in concert with TPTB. This is the agenda and of cause in doing so making every effort to lay the blame of each mess they create on other sovereign countries. These three ‘people’ are murderous psychopaths who should be tried as international war criminals and put to death. It is very sad to see a great country like the US deteriorate to this level. Your leaders are now completely out of control and WW3 [military] is imminent. I repeat – Obama and his cronies pose a bigger threat to mankind than Hitler ever did. I love this guy! He is real smart and gives it straight. I totally agree with him that we are in the midst of WWIII and the colossal financial collapse. As he said, it will now accelerate at a stronger and faster pace. I feel bad he got hacked by the crony U.S. Gov’t. Thanks to Gregory Mannarino for his generosity in providing the free videos and eBooks. He is a generous guy. Let’s all do our part to help spread the word. As for myself, I am a middle school teacher here in China and my students know what is really going on in the (political and financial) world – especially that the U.S. has their country next on the radar after Russia. Bring it on Uncle Sam. If China decides to dump a measly one fourth of your worthless Treasurys, it’s game over! You won’t be even able to afford hand grenades for the war. Pathetic! Time for the ZOMBIES in the US to wake up and stop this government and Central Bank nonsense before your country gets destroyed and falls into grave civil unrest. Thanks to Greg for his dedication and getting these superb guests week after week. One possible thing to note… maybe they are not increasing production, and in fact cutting back?!? What would happen when actual supply hit the wall with demand? Ukraine was a George Soros / Langley operation. Soros invested over $50 Billion dollars of his own money just so he could prop up this regime long enough to pilfer its resources. Now that the western cabal is done looting it, they will move on to their next victim and Ukraine will fall into Russian hands. Its back to the middle east. Carriers are on the way. Target? Either Iran or Syria. Take your pick. Hizbullah, Syria , Iran, North Korea. Any one piece taken without the rest, the rest will retaliate….. That will drag Russia and that is the bait Kissinger talked about. They want to level Russia. Am not sure in what camp China is, I have a feeling (not gas feeling) that it is on US camp, time will tell. Oh and i forgot to mention, watch Egypt taking care of Hamas . Jerry, I agree to a point. Uke was ” pre- battle plan”. The West did not want to loose Uke. It was announced late last night we will be sending lethal aid to Uke ( what a term). These people dont like to loose, and fromwhats coming out there they are being wiped out. I am convinced this WAS NOT THE PLAN. This defeat of the UKE army is being done skillfully and swiftly. Greg, Gregory is correct that we are here. It has begun and the final push off the cliff will arrive this year. I can feel it in my bones. So many Christian men and women are sounding the alarm it is obvious to anyone who is looking as we were commanded to do. It is subtle enough to catch those who do not watch off guard. Did anyone see the whore riding on the beast last night during the half time show? Lol, I found the flaming dress and the beast made of pyramids to be quite interesting. Almost like they are saying, prepare the way for the coming of the man of lawlessness, the anti Christ arrives soon. Seek the Lord and repent folks, in Christ alone will we find our escape from what is coming. It is incredible that the MSM completely ignores the crushing debt so prominent in the world today. It may be because that the youth of today have been sold the fairy-tale that if the mainstream media doesn’t cover it, then it isn’t important. Everyone I talk to over 35 understands the world is in serious trouble, younger people not nearly so much. I weep for the future. Thanks Greg and Greg for telling the truth. After two years of trying to share my understanding of the true risks that we face both financial and geopolitical I have come to a realization. Many will not pay attention until you scare them to action. I had my wife who insists on believing that things are not as I have described them,watch this interview this morning. This interview was one of the best I have seen. Explained the true situation of not just the problems and causations but also the inevitable outcome. For those reasons I made a decision to have her watch it even when I knew she does not want to be exposed to anything that describes opinions from a negative perspective. Not sure what the outcome will be but the silence from her after watching the video speaks volumes to me. We must take the necessary risks to enlighten those that we care about. Nice interview Greg H…. Greg M. is always on point and while many might think his assessments are hyperbole, that is no longer the case today when events and actions validate we are on the verge of both war and paradigm change. I just wanted to thank you for having the courage to continue doing what you do – Bringing us the truth. It’s important that you know how much all of us appreciate, respect, and value your efforts. Guests such as Gregory Mannarino are outstanding resources for us all, and I’d really enjoy seeing Harvey Organ on again too. This is one of the primary shows I rely on for honest news and world information. You’re right on the money too in regards to the intelligence of your viewers as the comments are very informative as well. A great community here that you’ve created. Stand strong. Keep going! Thank you RDB. You are one of us! Greg M. always has his hands on the pulse of the country. Totally agree with his view. Always a great guest! listen and learn as I say to my Zombies! Central banks are harvesting countries, as long as they are able to steal its gold they are continuing the con, the moment of truth is that country that put the brakes on the wheels of central banks, SYRIA. That is where you want to keep your eyes to know when the proxy war ends and the direct shooting war starts. Russia will afford losing Ukraine but not losing Syria. Iran will afford losing a province within its border but not losing Syria. That is your thermometer, I cannot stress my point any more. I said it before many times and every one was saying collapse is now , collapse will happen soon, I said no as long as Syria has not fallen (and i doubt if it will ever fall) there is no collapse. That is the last defense line of Russia, 4 years so far proved this true. I don’t know how long you have been watching but In said years ago the Russia has a naval base in Tartus Syria and they are not going to let Assad fall and they are not leaving. Assad and Russia are still there. It is more than geopolitics, it is in scripture, that is why am so sure about it. Damascus is the make or break of the cabal …… It will break their back. Russia will afford losing Ukraine? No offense, but have you got any idea what Ukraine is to Russia? The situation is somehow similar to the Cuban missile crises when Washington was paranoid about the Soviet Union missiles so close to the USA territory. You know what the reaction of Washington was, right? I guess now you know what Ukraine is to Russia. Plus the fact that there are 17 million Russians living in Ukraine..All the mess is mostly because Russia does not want NATO bases so close to her territory. So to put it simply – no, Russia can’t afford to lose Ukraine, at least not the whole part of Ukraine. It is obvious the will not let Ukraine down, am stressing the point of how important Syria is to Russia. Many times Arabic anchors in Al-Jazeera or other arabic networks mix the two together by mistake……Think about it…! Mohammad, that was an interesting thing to learn. Didn’t know Russia and Syria sound so similar in Arabic. Just read that Saudi Arabia proposed Putin in November last year to stop his support for Bashar Assad and in return the Saudis would cut production of oil so that the price goes back to higher levels. According to the news, there is still no agreement between Russia and Saudi Arabia on this proposal..I personally doubt Putin would agree. There will never be, Russia is not going to give Assad for nothing, it is a strategic stand, they will defend Damascus the way they will defend Ukraine and Moscow. Syria will go away into its sunset when the Oracle against Damascus completes, I have heard that part of that ancient city is looking like a giant pile of rubble now; just as the Bible has predicted. Did it surprise you that damascus had escaped the inferno of Syria that is been going on for 4 years, does that give you a hint? The old city of Damascus is still as beautiful as i known it since i was a kid, the suburb is devastated as the rest of Syria. Damascus is the city that will break the back of Dajjal (anti-christ). Go to Orlov’s blog, the Ukes are losing badly to the ” seperatist” and Russians-they are losing very badly and I feel this is a trememdous blow to their whole demented plan. You have to see deeper, it is not going to matter who wins and who loses, when every family in Ukraine is moved from their home like Syrians, when people of Ukraine die in scores of thousands like in Syria … The central planners win …. they already harvested the country and they will go on to a new one. 1179 gold and 15.80 silver were excellent opportunities although i have bought more at 1225 and 16.90…. You may offer all those ounces you are hoarding now for a handful of DATES and you may never find a seller. Greg H. and Greg M.! Thank you for all you do trying to wake up the zombies. I pray we will finally go from a public government/corporation oligarchy to private free market. I wish Ron Paul would come out of retirement!. The Gregs thank you Diane! His son is running or at least looks like it, the apple there hasn’t fallen fallen too far from the tree. Re Real Estate- in addition to the low homeownership rate, also consider that NEW home sales are at levels last seen in the 60’s and 70’s when the population was 35% lower! New home sales are an indicator of the health of the economy- they create jobs. A few people moving in and out of used houses at higher prices is NOT a housing recovery. I have a question about why Russia agreed to keep oil production the same at the meeting they had in Vienna. It was reported that they meet with Saudi Arabia, Iran, UAE days before the OPEC meeting ? Did you expect them to increase or decrease their production? If they increase they will drive price further down. If they decrease they will be thrown under the Saudi’s bus. Hi Greg, thank you for the interview, enjoyed it. My paranormal sources claim that Putin had some hand in that, signaling to the comeback of JC, as the possible Malmstrom scenario then is aimed to place the comeback of JC in a position, advising the world how to move on, with the backup of the Malmstrom scenario, putting Putin in an executing power position. As the spirit of JC reincarnated in the physical body of JFK, the skills are in his intuition. An organized controlled chaos, in which the world rethinks all of her systems, in which the comeback of JC takes an advisory role, after the Malmstrom escalation changed the world as we know it. The comeback of JC entering the stage, mobilizing the truths advocates to go viral, rebuilding all the systems, as that event creates the atmosphere of ‘never to forget’, to avoid a repeat of history, in an attempt to unite the world in peace and honest systems. Former president Bush stated in his election campaign that Christ is in his heart. Bush in the know about the comeback of JC. Bush stated in interviews that the Bible is not literally true, but you can learn a lot from it. Not so long ago Bush promoted a group that wants to convert Jews to JC being the Messiah, to bring about the second coming. George Bush started out being friends with Vladimir Putin, as Bush claims their relationship worsened with higher oil prices. In case of the speculative Malmstrom scenario, Putin took notice of Malmstrom signals, recognizing patterns in his advantage, following them step by step. Observing the comeback of JC, the Russians extract his basic views, taking them into account. The comeback of JC, once JFK signing executive order 11110, making money again, like he chased the money changers as JC, an advocate of an honest money system, which the current one is not. Non debt based fiat currency backed by honesty could work well, but the world is not in the honest stage, so a gold factor will be the transitory system. As Malmstrom incidents take place as from 1948, that scenario could be the mechanism which triggered powers to the comeback of JC, as my paranormal sources state the comeback of JC is being observed as from he was a boy. In that scenario, Bush’s friendship with Putin could have been worsening, as Putin suspected Malmstrom signals getting in his advantage. My paranormal sources are against Israeli principles, and their behavior in general. When Bush was in the know, I can figure his odd involvement not so long ago in the small group who want to convert Jews to JC being the Messiah, to bring about the second coming, as he knows that’s nonsense, as he just signals to be in line against Jewish principles, suspecting the comeback of JC might enter the stage at some point. A very farfetched speculative story, as I like to believe something good is directing crucial events. I would like to see Gregory Mannarino again. May the view of the founding fathers of America go viral one day, and the Source of Love bless us all. Expect the unexpected. He is blindsided to the china gambit. The dragon is in for a big surprise to the polar bear when push comes to shove. And yes the mess is too much to be straightened from earth it has to be the heaven’s power that will set things straight. Sorry for any loss you suffered from that wicked attack on your site, I wish you recover from it soon, and you know what…Just by helping people out understanding the great danger coming towards them God will reward you here in this life, what you are doing now is not free, payment by god may take some mysterious way, preserving your health, preserving the health of your beloved ones..god knows how the reward is. Thanks Greg for putting a great interview with a great guest. The “free market” cannot overwhelm what “they are doing” you guys for the simple fact that there is no free market. As Mr Mannarino says, most people simply have no clue about what is going on and likely never will fully be able to understand things as there has been a deliberate attempt to “dumb down” and distract most Americans. That is why what we see going on here is so tragic and sad, the generation that consists of my friends kids is being savagely eviscerated right in the very living rooms of their parents and grand parents, who love them so dearly, it really is sick to witness, but once you understand how the world works it is clear to see. WWIII has started? Well, here in my neighborhood (Sacramento Valley, Cal) I don’t think many of my neighbors have any idea what you are talking about, or really care. Their big Monday morning topic is how the super bowl went. Sure gas prices are down, they have no clue why, just know they can buy a little more beer and groceries with the savings or a new set of wheels for their car. I could never figure that one out. Your car comes with wheels, most are rather stylish these days. Why in the world would you waste thousands on different wheels when you’re barely making ends meet? Well, anyway, this is the sad state of affairs in one readers neighborhood. God help us if something really bad happens. Wow. We’ve been following G. M. for years. Though he says he’s not (yet?) a believer, he is not far from God. He has a heart of love & we can’t help loving him back. May God shower this man with blessings. Just as the signs of financial collaspse are everywhere (if you know where to look), so are the signs detailed in Bible prophecy. The two are connected . Financial collaspe will play a role in the end-time scenario. Thank you for keeping us informed!! Yes, yes, & more yes, the signs are everywhere & one can connect the dots to Bible prophecy, a financial collapse is part of the PlAN; “but don’t hurt the oil or the wine”. It’s all coming undone. That is the constant comment. But it’s been status quo. I think the oil price going down is the snowflake that will start the avalanche (can you tell I follow Jim Rickards?). As the oil derivatives trigger to the negative we will get more economic stimulus that will push the DOW to 32,000 (can you tell I follow Martin Armstrong?). I believe we will get another housing boom this year (if you own an overpriced home, sell it quick). Look at lower mortgage rates and relaxed lending standards, it’s happening. Interest rates won’t go up, they’ll go down from here. If interest rates go up EVERYTHING goes bankrupt. I agree with you Greg (mostly) and I agree with your guests (mostly). I think you are doing great work (if anybody trashes you just FTB). Martin says it will crash this fall (that stinks because, when has he been wrong?) but I think it could go on until 2016 or 2017. I love our troops but I am very anti war (I have 3 sons ages 22,18, & 16 – I really hate the war). I ask everyone I know, “Do you feel safer today in regard to the war on terror or did you feel safer in 2012 a few months after the 9/11 attacks?” No one has said they feel safer today, everyone I asked said they feel more danger right now from a terror attack. We are all being terrorized by the war on terror (brought to you by…Bush, Clinton, Bush, Obama). Ten years ago I thought people like Gerald Celente were crazy but when he’s always right (from a macro standpoint), you find yourself recognizing the truth in what he says. By the way, I love Lord Monckton (3rd Viscount of Brenchly-how did you leave that out of your interview?). I believe “Climate Change” and all the other “Bovine Scatalogy” from the “New Left/Socialist/Progressives” is false religion. You can go back through the millenia and see the same kind of junk, this looks so much like paganism. War is the plan centered around oil. It is interesting to note that the United States exported 401,000 barrels of oil per day for July 2014, the highest level of oil exports in 57 years and the second highest monthly oil export volume since 1920! Beginning as early as August 2014, oil traders have contracted crude tankers to carry North Sea, West African and Arab crudes to South Africa’s Saldanha Bay, which has a large oil storage terminal with a capacity of 45 million barrels. Not counting the VLCC’s (very large crude carriers) being used as floating storage at anchor. The focus for the cause of low global oil pricing is being placed on OPEC’s doorstep, when in fact it is the US that has contributed in a major way to this curious situation! Burning down the house to save the neighborhood? Shale play destruction. WHY? For what reason? Could this have been the opening shot to try and destroy Russia’s economy? Which has major ‘blow back’. Or, is this pre-positioning strategic supplies (some of which is highly mobile) before any major global conflict? This may sound dumb, but how can suppressing this news be an advantage to anyone who is involved in professional news gathering? Surely, among the marxist minded liberal reporters there is one “Jimmie Olson” who wants to be known as a real reporter. “Damn the torpedoes” and all that. Or am I reading his news site? Meanwhile, back at the ranch [The US House of Representatives] they are bolstering DHS with equipment, money, and “prophylactic containment devices” for “times of attack or natural disaster” with “The Medical Preparedness Act” or HR 361. Not to mention the fact our political representatives are now looking to outlaw the use of personal body armor by the people! Perhaps we will be allowed to uphold our lives and liberties with a hash tag–as I recall “#SaveOurGirls” was a smashing success. HR 615 is a bill they will allow DHS to have an “interoperable communication capability” that will work when the rest of the USA has no means to communicate. I am watching cspan while I type this Mon 2-2-15 at 4:15 pm cst. Your cell phone won’t work, your land line phone and internet won’t work, but DHS will have a system that will work. Better dust off those walkie talkies and stock up on carrier pigeon food. But wait, HR 623 The Social Media and Working Group Act[facebook and twitter] will be reserved for the plebes. Can’t make this stuff up. There are about a dozen people in the US House of Representatives at this moment laying out the plans for the DHS and the “People” and how they will communicate in a disaster [or war]. DHS gets a bulletproof system, we get “twitter”. Better get yourself a small ham radio and learn how to use it to stay informed, I don’t think you want to rely on the emergency channels for your news, the book 1984 comes to mind. Gregory Mannarino is, pardon the pun, dead spot on. The neocons and the directors and masters are bona fide psychopaths and evil. Their efforts and plans to cage and weaken The Bear and The Dragon is going to result in BILLIONS of deaths and TRILLIONS in destruction if they their crap continues. These madmen some how think that they will be personnally immune and uneffected by the death and destruction that they have created and continue to create OR they deep down inside do not really care. Given their supposed intelligence, I am beginning to strongly suspect the latter. Balance WILL be eventually restored and entropy WILL come. The real questions are, ….at what cost? Thank you again for your many insightful and knowledgeable guests. I would be most interested in viewing another interesting interview with young Brandon Smith at Alt-Market OR with a newcomer in the public world of international financial analyses and alternative media in on J.C. Collins at Philosophy of Metric from Vancover, BC, Canada. The US pushing against Russia; Hurting Allies with “sanctions”; Greece standing-up the ECB and EU; protests in other “austerity” confined countries; Middle-East turmoil, and Oil price decline threatening Derivatives – what could go wrong? I’m NOT surprised all Gregory Mannarino’s material got disappeared. Do right today – and you’ll find a bullseye on your back. Because the US is behaving so badly – the world will marginalize it to the extreme: and deservedly. If we had had a lick of sense: we would have gone into Third-World status quietly and honestly. Now, we will hurt all our friends as we are forced, kicking and screaming, to finally live by our actual means. Or will jack-booted thugs march into the capitols of the world and make peace – for the good of all? A few yrs back Johnathan Cahn spoke on the Harbinger, but here is his message at the inaugural address for obama. very powerful. He is a messianic rabbi and claims recently USA will collapse economically this sept-oct or autumn. A forceful presentation by an insightful man of God…thanks. It strikes me that the Almighty, in justice and patience, sends not only warnings but warners as well, and that this Rabbi Cahn serves as America’s Isaiah. search his video on christmas, christs birth was in march, shephards watch the flock in march during “lambing” or lambs being born, so as to get a spotless lamb for sacrifice for their sins, as christ was born spotless lamb of God in march. much more. Jim Bakker interview. 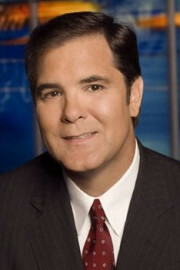 Thank you for having Gregory Mannarino on and explaining the coming financial tsunami. Personally I would like some more instruction as to why we are to watch the bonds, not the stocks, as he said. There are very few places on the web today, where truth is still found, thank you for making USA Watchdog trustworthy. First of all, who is “Doc”? What is his name? Mine is Greg Hunter and you can find at least 10 years of my work on the internet. 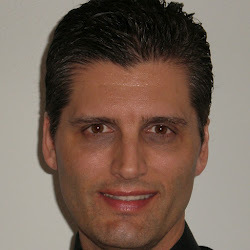 Gregory Mannarino is his real name and he does not post with an anonymous name. You can find at least 4 or 5 years of his work on the internet. I don’t have much to say about people who criticize using a fake name. When you can get “Doc” to man-up and use a real verifiable name, then I’ll give you a longer answer. In the meantime, I think Mannarino is legit and the facts say we should all be very worried about the economy and one hell of a war. It sounds to me like somebody is jealous of GM. Anybody with half a brain can see the collapse coming. The argument has always been over the timing. So Greg was off on g=his timing. So what? Can anyone predict something that is so manipulated with accuracy? Never mind that it has never happened before in recorded history. Yes, Gregory we know. Our days are numbered and the hour is getting late. And, buy gold and silver? What a surprise! Actually I like this guy with his “youse guys” New Jersey accent. It would be fun to have a beer and watch the Super Bowl with him. Come on over next year, Gregory. And you can bring your laundry. All I can say is WOW! Your ignorance is breathtaking. I’ll bet you 500 Federal Reserve Notes there will not be a super bowl next year…heck even if I lose the bet I will be paying you in currency worth a fraction of what it is worth today. You’re on! I say there’s a Super Bowl next year for $500 bucks. Okay then, if and when there is a super bowl 50 you tell me how you want me to send the money to you. In the meant time do yourself a favor, if you have not already, and store up some food and water and invest what you can in your health and your relationship with God! Have you ever really been to New Jersey? I have lived here my entire life, and the only people who have an accent, at least those who I have come in contact with, via NY style, are those who were born and raised in Jersey City. I think their accent is “quaint.” There are other areas that have their verbal ” quirks” ( “how comes?” or “draw” instead of drawer) but all areas have them. I can tell someone is from Canada just by how they pronounce the word “out.” Again, I think it “quaint” and rather like it. Does it really matter about a person’s accent? What really matters is their character, and to God, if a person has accepted Christ or not. I Suggest you actually visit the state, especially if you are interested in Revolutionary War History. You could visit the Sandy Hook Lighthouse, “the oldest working lighthouse in the United States. It was designed and built on June 11, 1764 by Isaac Conro.” You will be able to see the NYC skyline at the same time. Unfortunately, you will be not be able to visit all of the sites with just one visit. Found this speaker whose comments dovetail with all we are facing. He has several much longer interviews if this one doesn’t totally unnerve. He is ex-KGB. Well, knock me in the head! Mr. Mannarino, thank you for telling us what your actual trades are instead of just naming a stock on your Market Report. This is a huge step in the right direction in my book. When you had your free site before I was never able to gauge your actual success rate on your trades. If you keep this up and I am able to make some money with the paltry little bit I have left from my own bumbling around then I will trumpet your name as I have others in the past in comparing you to them in other comment sections. Thank you very much. All rare earth metals are up 30-50% today (you can add AVL, SMDZF to the list) ………. Something’s coming down. Preparing us for war or just my head playing tricks with me…. Over the last two months I have noticed an obvious increase in the movies being played on Television that deal with the subject of war. In fact many are what I would describe as pieces of propaganda. As I write this I am watching one that clearly is about painting Russia in a negative light. By no means am I susgesting that Russia should be trusted, but I am saying that nobody will benefit from painting Russia into the corner that we are painting them into at this time. War will not fool anyone. Politicians need to accept that they have destroyed the financial viability of society because they did not wish to accept responsibility for their errors. The royal family (saudi’s) got kudos’s from the US for helping hurt Russia, the “family” got a win-win request, help the US hurt Russia & Iran & kill the shale industry of the US at the same time. Now, after considerations of the family’s downside, which was a few billion here or there in their international accounts, they agreed to help out. Being redundant the family got: Helped the US which will benefit themselves militarily with ISIS, among othere enemies; hurt their enemy Iran and oil exporter, hurt the US shale fracking industry their competitor; hurt ISIS with their spot market hijacked oil, and hurt all the smaller oil producing countries without large bank accounts thereby increasing their market share. So, for a little chump change, the family couldn’t turn the US request down. But I do believe the production picket has a time line (duration) and we may be approaching it. You may be on to something because everything you said was true! The Saudi’s collapsed the oil market to demonstrate their loyalty to the Chinese and to corner the market. The Petro Yuan is on the way. The big losers in this process will be American oil companies, ISIS ( a Langley creation) and us. Russia will emerge unscathed along with the Iranians. Deals were cut with the Chinese in the fall. Or cashing their marbles because they know they are toast. Gulf is going to be shut once Yemen is completely under Iran/Huthis. Has anybody checked to see how much fuel and oil products the US military is buying at these super low prices? Isn’t it great to plan for a war AND have cut-rate fuel prices, too? Sure, the Saudis may be cutting prices to do a number on the US fracking industry and may to hurt the Russians and any other weak competitors. But fuel is a mainstay of any army and navy. So, why not have a war? It’s never been cheaper! May God (the Father), Allah, Budda et al be with us! Drink deeply from Gregory’s words and take courage as your prize. Thank you Greg H., for interviewing Greg M! Thank you Greg M. for your insightful interview! Remember when you said, “It’s official, Russia Has Invaded Ukraine”? Except it WASN’T. They DIDN’T. And you lost all credibility from that moment on as far as I’m concerned. You said that Obama’s attempt to undermine Netanyahu’s election will fire back and sure it seems it did. Thank you Mohammad for the link and kind feedback. WC Greg, god bless my friend. How much does a government troll prostitute themselves for, in order to troll sites like Greg’s? I would really like to know how cheap you can be bought for. There isn’t any doubt that the IMF imposed austerity programs have been a leading cause of the deterioration of the Greek’s standard of living and the subsequent violent social unrest. Unfortunately the new government is most shortsightedly confusing the symptoms with the disease. Rather than face the harsh realities of bankruptcy, enduring the pain of restructuring, exiting the EURO and moving forward, both sides have engaged in playing blame games, avoiding responsibility and postponing the inevitable. The truth is there is more than enough blame to go around. Previous leftwing Greek governments saw joining the EURO zone as the ticket to every good socialist’s dream; the ever expanding welfare state and the government dependent population. Their fellow traveling leftist bureaucrats in Brussels willfully ignored the utter unsuitability of the Greek economy to join the common currency union, more concerned as they were with their fetid dreams of a united Europe and their own centralized control. Like all socialists of every strip, they live in a world constructed of an unrealistic and unattainable dream. Namely that economies and economics can be infinitely forced to conform to their political will. Unfortunately ignoring history and its lessons doesn’t change them. So now the socialist bureaucrats in Brussels have an internal rebellion on their hands. A rebellion born of former Greek governments borrowing and spending their way to reelection after reelection and lining their own pockets in the process, all with the complicity of Brussels. But now the unattainable dream is unravelling faster than a ball of yarn set upon by a litter of kittens. The socialists in Athens think that they can selectively abrogate all or part of Greece’s debt without consequences for the entire financial house of cards. The failure of the Credit Default Swaps on Greek debt alone could push the likes of Bank of America and J. P. Morgan/Chase into a naked and undeniable insolvency that will make 2008 look like a joke. But the bureaucrats in Brussels are continuing on with their unattainable dream by threatening Athens that if they don’t come to a new agreement with the Troika, the ECB will cut off the Greek banks from any further funding. Threatening the bankrupt with bankruptcy is either the pinnacle of absurdity or hubris. Sadly the new government in Greece is only partially right. There is no solution for Greece within the context of the ECB or the European Union. Neither is there a solution in returning to the Drachma and hyperinflation in order to continue the welfare state just so a new batch politicians can buy their reelections and line their pockets. The reality no one wants to deal with is that there is no viable solution for any of us within the context of private central banks and trying to solve the problems of too much debt by going further into debt. Only the repudiation of national debts, ALL national debts and the return to asset based currencies will set the world on a path to a production and employment driven recovery. Alexander Hamilton’s reports on banking and manufacturing were right two hundred twenty five years ago. They still hold powerful lessons for today. I can’t believe Greg M. never backed up anything on his computer and lost it all. Personally, I keep everything of mine backed up on three (3) separate physical USB hard drives, and keep each one stored at separate locations — with one of those locations being ***outside the country*** I live in. I also don’t store anything in “the cloud,” since it could easily get hacked and eavesdropped upon, plus running the risk of you losing access to it for various reasons, such as the Internet getting shut down in your area, country, etc. Better safe than sorry! Greg, while Mr. Mannarino echoes familiar sentiments regarding the chicanery of central banks of your most recent financial intellect, I was taken aback to hear it strongly espoused in the current Barron’s (Feb. 2) by one of their 2015 Roundtable Panelists. When asked by Barron’s Where in the world we should invest this year?, Marc Faber (Editor & Publisher, The Gloom Boom & Doom Report – Hong Kong) replied, “If I could find a way to short central banks, that is what I would do. This is the year people will loose confidence in central banks, mostly because of the failure of Abenomics in Japan. ………Eventually, they will go bust, massively.” Don’t know if he has ever been a guest but might be another harkening voice coming from the more MSM side of things that’s not afraid to sound the alarm. Worth a read, and then some. Earl, I think I will fill a few barrels too, just in case Obama is able to kill King Coal. Thank you for your work and integrity Greg. Excellent interview. We love Gregory Mannarino. Things are not what they seem . Skimmed milk masquerades as cream . The war is phoney , and the gold under key . THEY HEAD FOR THE WEST COAST OF THE U.S.A.
IS “THE REMINDER OF OUR SINS” EVENT. WHERE THE POP STARS/FALSE IDOLS LIVE BECAUSE OF A EARTHQUAKE/FAULT-LINE. CALIFORNIA DETACHES FROM THE MAIN LAND AN DELAYS IN GETTING PEOPLE OFF THE ISLAND(S) ETC . OF THE SOLAR SYSTEM FOR THE NEXT GOD KNOWS HOW MANY 1000S OF YEARS. THIS IS THE TRANSITIONAL MARKER . WERE PUSHED OUT. THIS EVENT CREATES A MASSIVE FIRE , TAKES 5MONTHS TO PUT IT OUT. AND THE INDEPENDENT HOMEGROWN OIL FIELDS OF THE SOUTHERN STATES NOT BEING WHAT THEY WERE. EGYPT BECOMES THE CENTRE OF AN ARABIC MILITARY COALITION . US UP TO 2024 SO WE HAVE 10 YEARS MAXIMUM FOR THE 4 EVENTS BEFORE WW3 BEGINS ITS NO LATER THAN 2026. IF YOU WANT MY SOURCES THEY ARE….